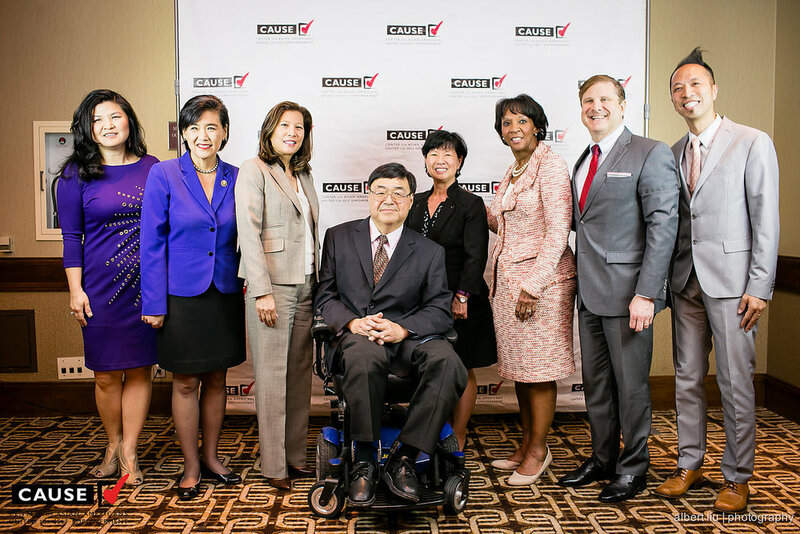 The Honorable Holly J. Fujie, Superior Court Judge, County of Los Angeles, served as the moderator for the program. While half of the law school graduates are women, women are still largely underrepresented both in private law firms and public legal professions. The National Association of Women Lawyers reported that only 8% of equity partners are women. Additionally, the percentages of women and minorities in judgeship and the public prosecutorial professions are also not proportionate with the diversity of our communities. Each of the panelists shared their motivations, pivotal moments, as well as the challenges they had endured. 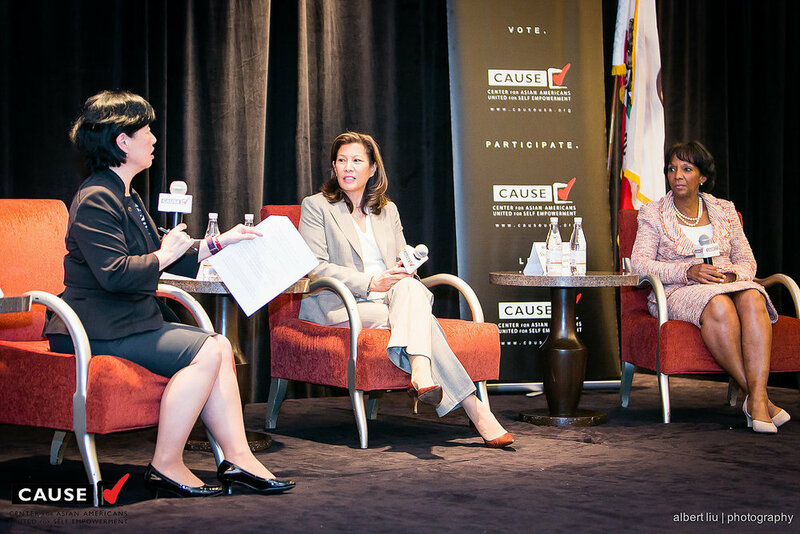 Chief Justice Cantil-Sakauye and District Attorney Lacey shared what it was like for them when they first started off as young lawyers. While they agreed it was a challenging time to be a woman of color in the field of law and justice, they also strongly believed that the experience has greatly contributed to their excellence, endurance and their sense of humor. District Attorney Lacey vividly recounted what it was like when people were surprised to find out the Los Angeles County District Attorney was her- a minority woman. “We love it,” commented District Attorney Lacey when recalling the moments when she and her team broke that stereotype. When providing advice to aspiring leaders, both the Chief Justice and the District Attorney encouraged young professionals to attend programs like Women in Power to connect with like-minded individuals and expand their professional networks. The audience enjoyed the heartfelt personal accounts and stories that these leaders shared. CAUSE is proud to continue the Women in Power program’s tradition of inspiring and empowering the next generation of women leaders rise to positions of power.